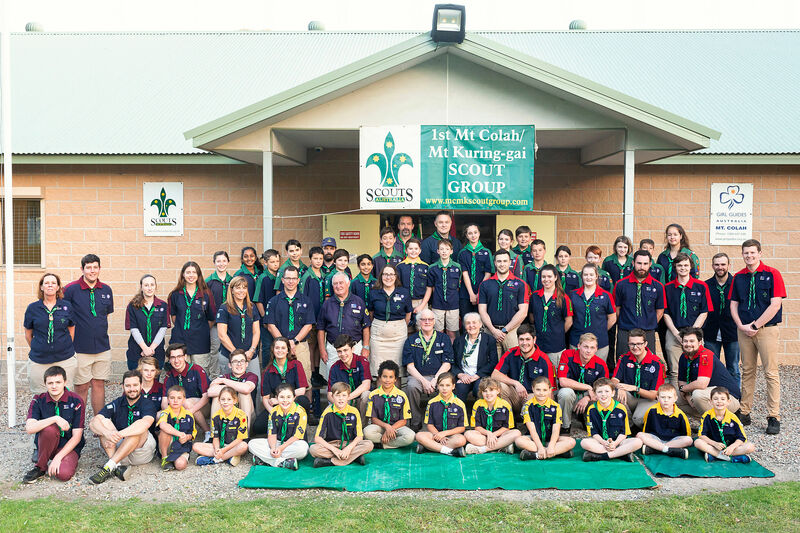 On Monday 26th November 2018, 1st Mt Colah/Mt Kuring-gai Scout Group was visited by Scouting royalty, the Honourable Michael Baden-Powell (Grandson of Scouting founder Lord Baden-Powell), his wife Mrs Joan Baden-Powell and Chief Commissioner of Scouts NSW Neville Tomkins OAM. The night was made special for two fortunate Cubs, Matthew and Eloise who were presented their Grey Wolf awards, the highest award in the Cub section by the Honourable Baden-Powell. The night was finished off with our local Rovers cooking a BBQ and The Honourable Baden-Powell and his wife, Mr Tomkins, District Scout Leaders Mary Page and Peter (Noddy) Quirk sharing a light supper and exchanging stories with both group. A great night was had by all. Michael was even seen signing autographs. 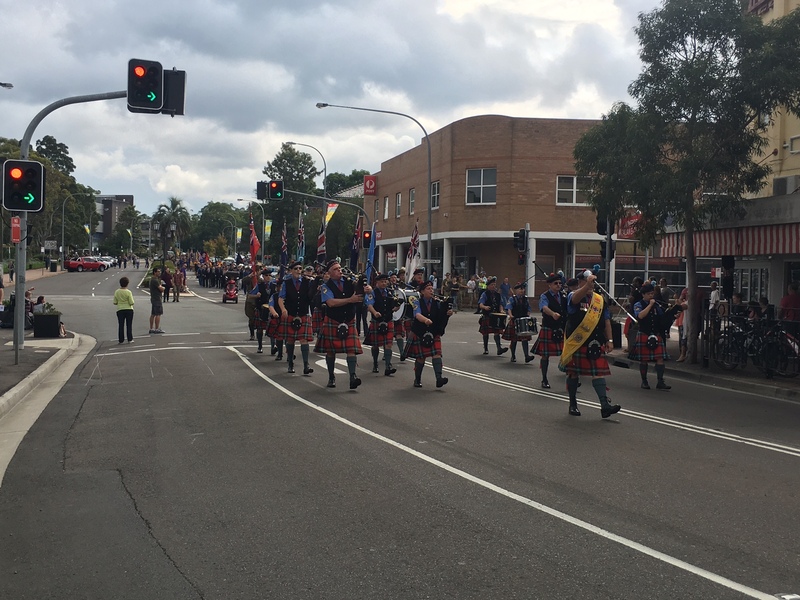 On Sunday 17th April 2016 the Group participated in the Hornsby RSL Sub Branch Community Anzac day March. 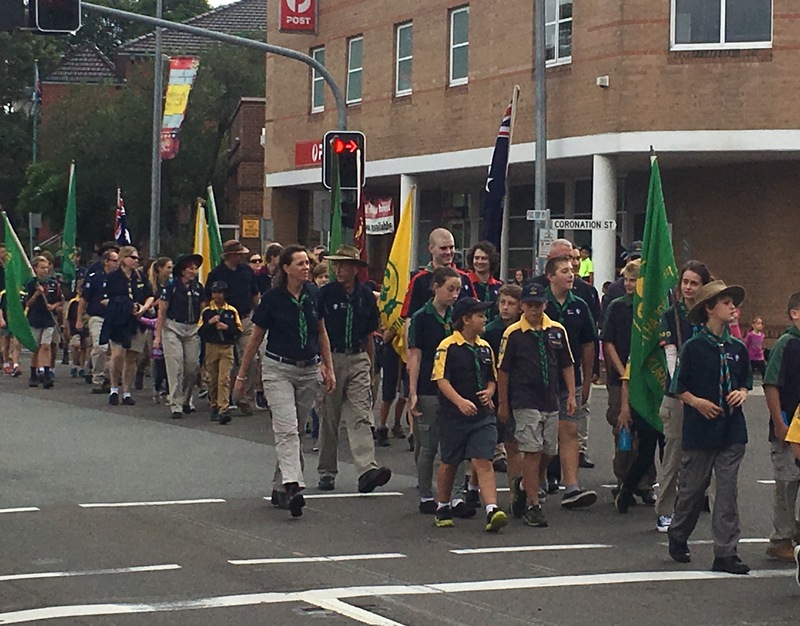 The march is on each year prior to ANZAC Day and all local Community Groups are invited to participate. 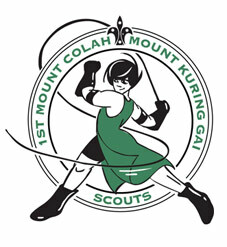 Mt Colah / Mt Ku ring gai had Cubs, Scouts Venturers and Rovers representing the Group. 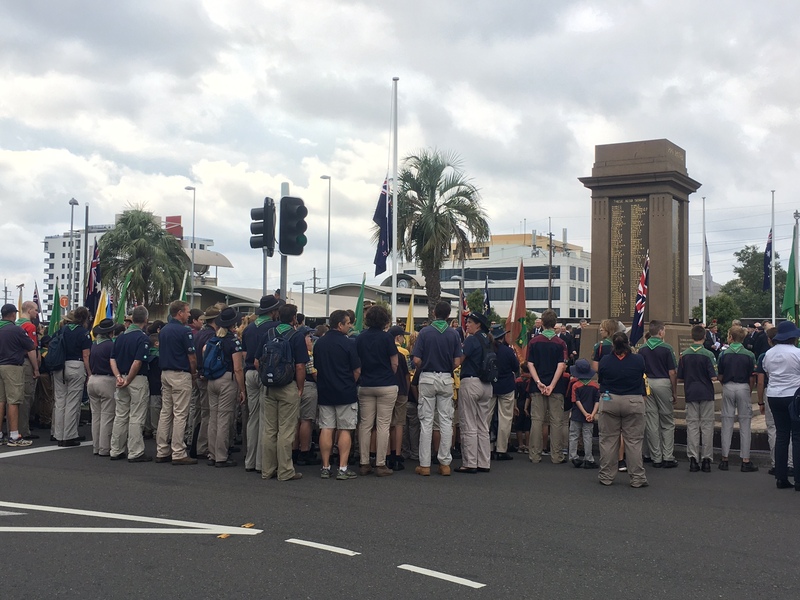 Following the March, a service was delivered. 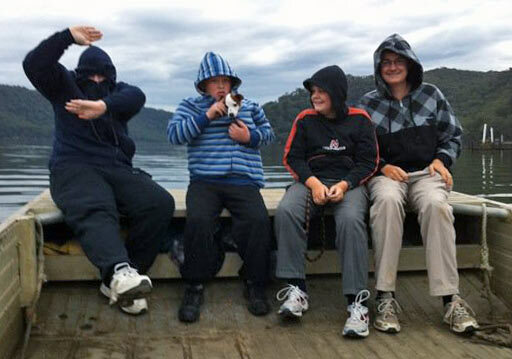 The Scouts we then invited to the RSL for an Icecream ! It is great to be part of an active community. 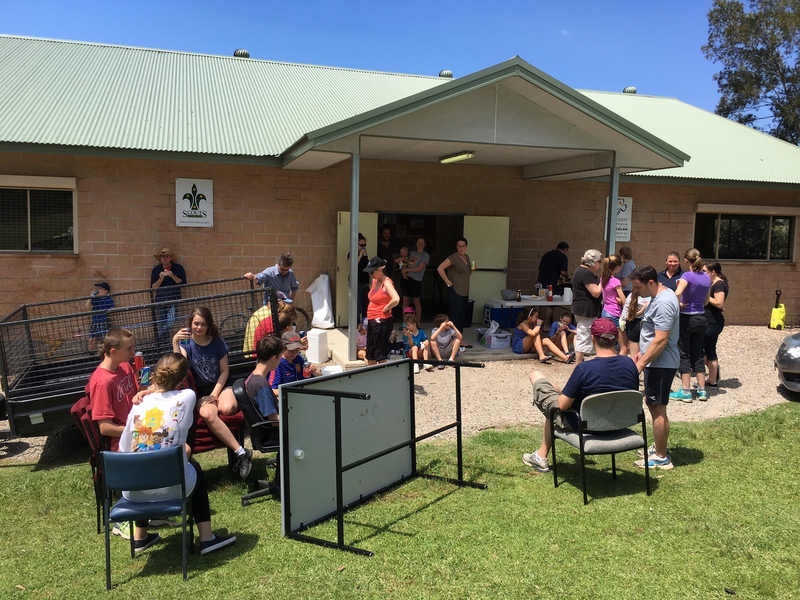 Each Easter, Scouts from Benowie District meet at Crosslands for the traditional Easter Camp. 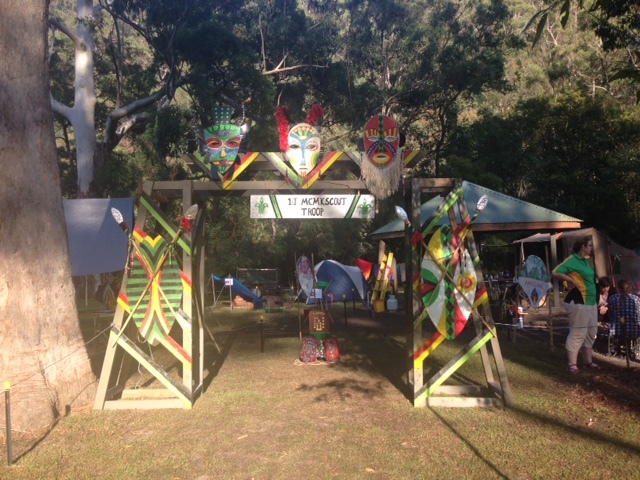 Four days of fun and hard work keeping the campsites in perfect order. 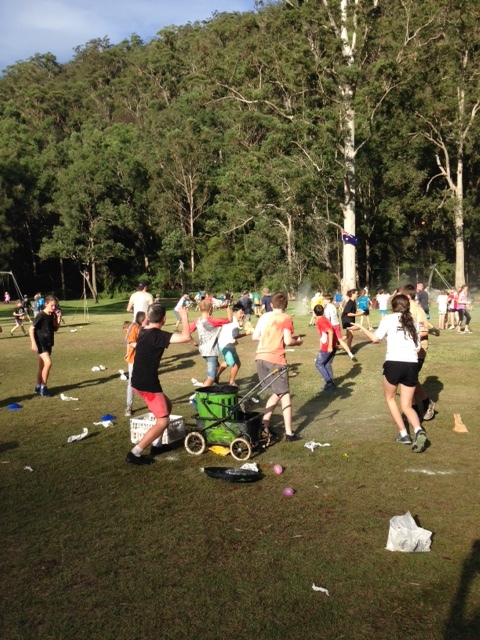 The camp is usually closed with a flour and water bomb fight – followed by a good wash (read water fight) in the river. There was perfect weather for the camp this year. We had 3 new patrol leaders, new tents and many new faces – so we were very proud to finish in second place. 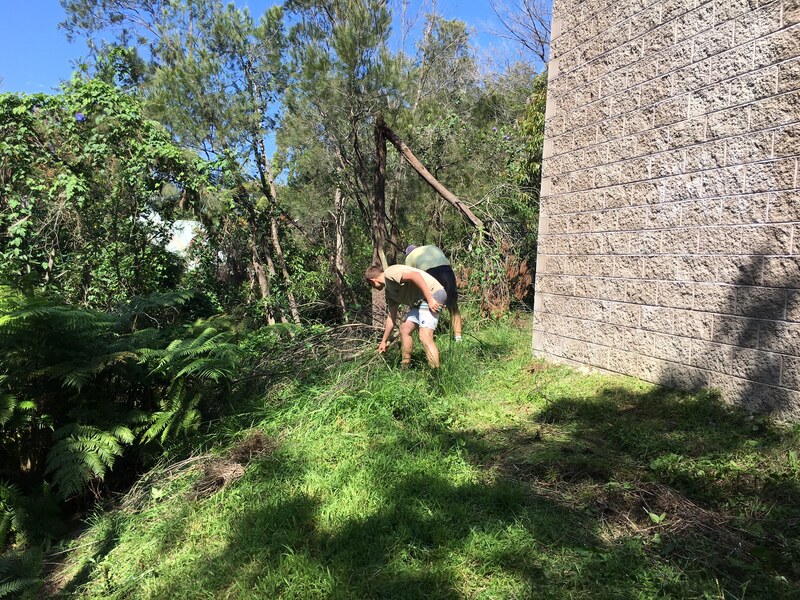 Awesome work from our Scouts! 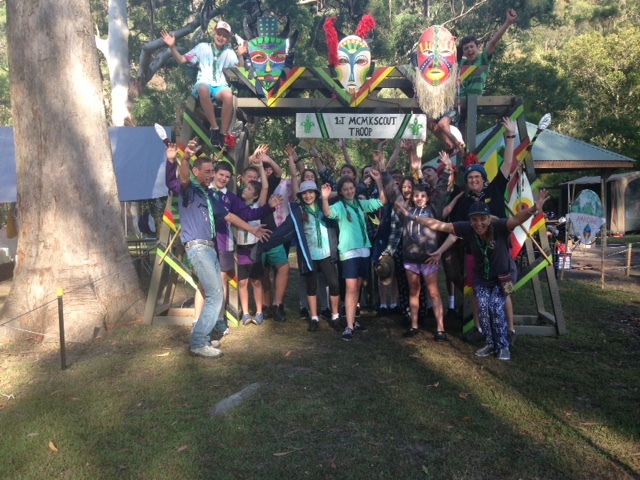 1stMCMK built a awesome entry gate to welcome visitors to the camp. 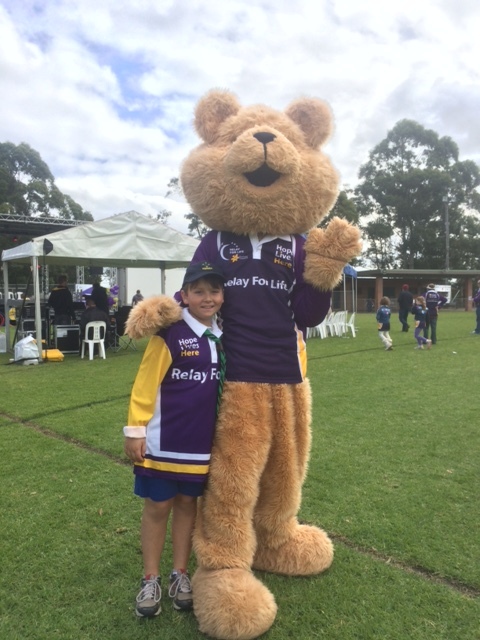 All Scouts had a blast! The weekend culminated in a epic flour fight ! 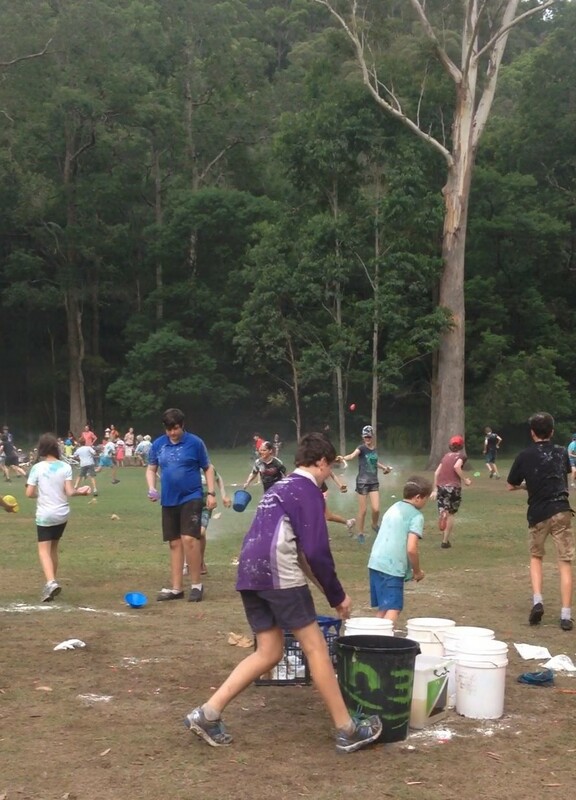 Tired, dirty (and Flour covered) Scouts returned home on Monday after a great weekend. 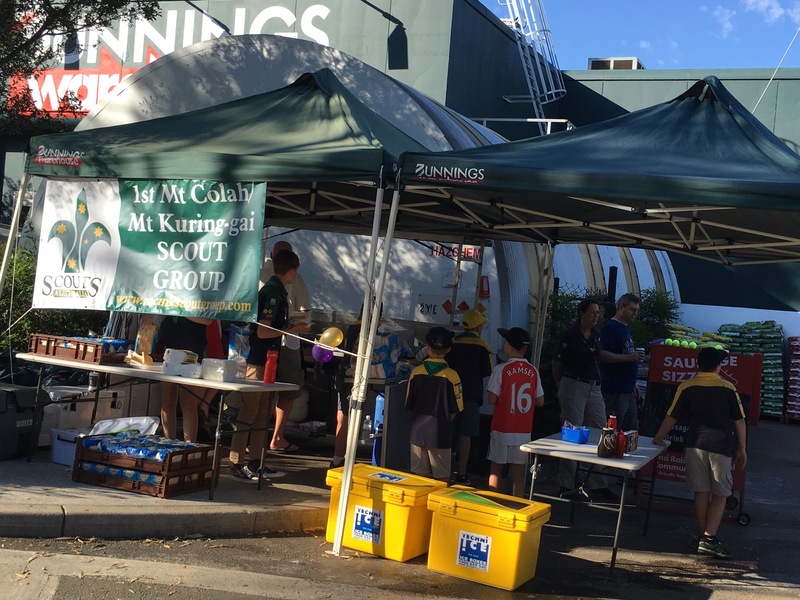 Thank you to all our Families that braved the heat to help out at our Bunnings BBQ fundraiser on Sunday 14th February. Despite the heat by 4pm most of the Sausages had been sold and a huge amount of icy cold drinks. The group should raise around $850 from the event. The funds are being put towards camping equipment for the up coming Scout Easter Camp where the Scout Troop will attempt to defend their title as District Champions. Thanks to Bunnings Thornleigh for hosting us and to IGA Wahroonga for again supporting us with the food and drink supplies. A huge thank you to all our wonderful volunteers (over 40 Scout, Guide Parents and Kids across the day) for helping at the Hall Spring Clean on Sunday 25th October ! 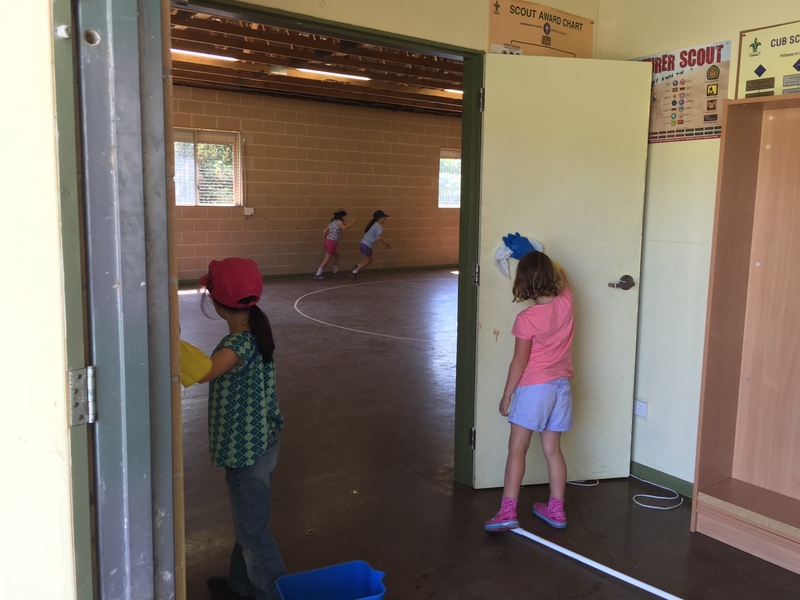 So many jobs got done, including clearing the area around the hall, graffiti removal, painting, washing walls, sorting out equipment and cleaning the halls and kitchen. Volunteers were rewarded with a BBQ lunch in the sun. Our wonderful hall is looking shiny and new and ready for the next year ! 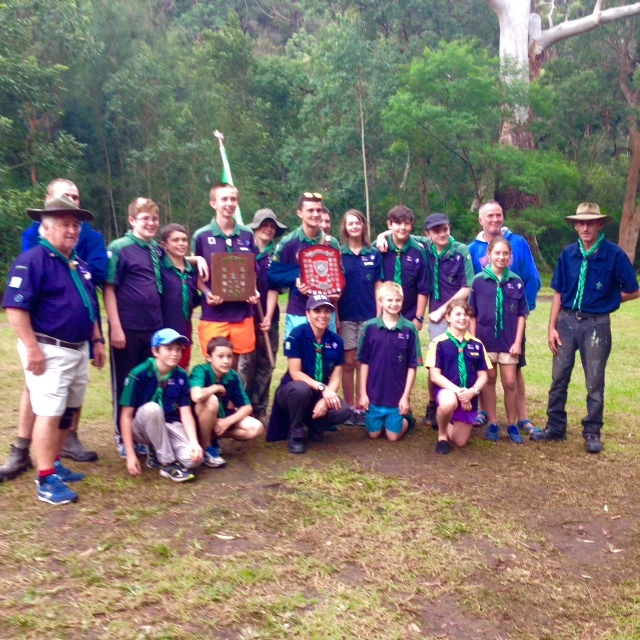 `The Benowie District Easter Camp has been run and won for 2015 with the Mt Colah / Mt Ku-Ring-Gai Scout Troop taking out both 1st and 2nd place. 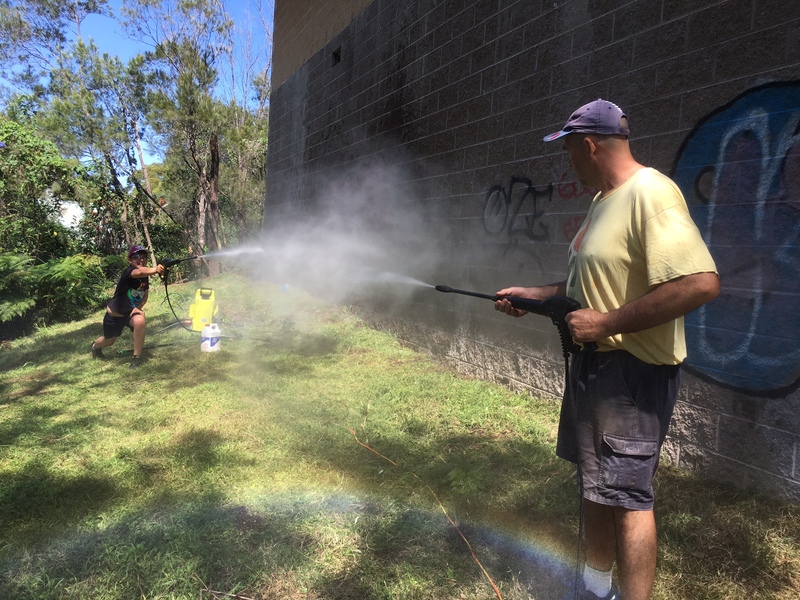 Easter camp is held each year at Crosslands Reserve and has a competitive element focusing on campcraft, and scout skills. The theme the year was ‘Mexican’ and our 2 Patrols, “Hasta La Vista Amigos” came in 1st place and “Flying Tacos” came in 2nd place. The win breaks a long running streak by Waitara Scouts. The weekend is not all hard work, lots of fun was had in the rain with ‘wide games’, and a huge flour fight, where local MP Matt Kean led the charge into battle ! Thanks to our dedicated Leaders for a great weekend, enjoy the year of bragging rights ! Well, it was about time we brushed up our cooking skills! It’s that time of year when it’s cold outside and there’s too many cooking challenges on tv! Time to give ourselves our own cooking challenge. The Venturer Cooking Night had evolved into a “Feed the Hungry Rovers Challenge”. Good thing that we meet on the same night! We originally had 5 courses planned, but in the end, only used 3, which was enough – we had enough curry to feed a small country! – Guacamole: This is a south American dish, I think. Made with avocado and tomato and is delicious!!! We were lucky to have the Binskin secret recipe, which was handed down for thousands of years from ancient Binskin Aztec relatives. – Tzatziki: A greek dip made with cucumber, yoghurt and garlic!!! Mmmm… I got this recipe from an oldGreek lady in a bakery in Dee Why. Caution: makes your breath stink, but who cares? 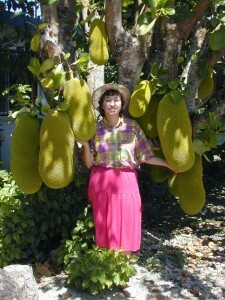 Jackfruits - Why stop at eating one only? Time to plate it up!! We served up our dishes to ourselves and the Rovers! Hey, they like this stuff! Many went back for seconds! The night was a huge success!!! I can’t wait for the next Venturer and Rover cooking night! It will be the Rovers turn to cook for us! Let’s see if they can cook something other than sanga sandwiches and sauce!! On 4th June, a small group of 3 Scouts, 1 Venturer, 2 Leaders and a dog meet at the new hall and drove to the oyster depot in Brooklyn. 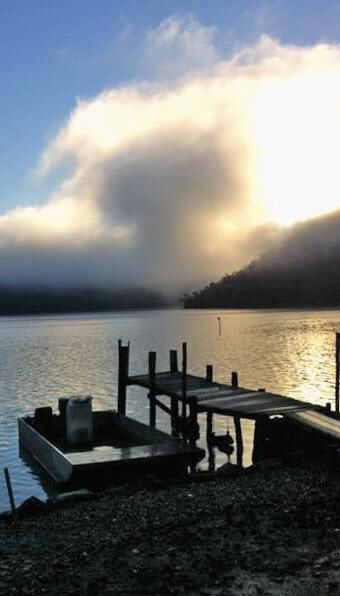 Gary Binskin’s brother picked us up in a punt and took us to his shack on the side of the Hawkesbury River which features in the movie the Oyster Farmer. It was a small shack with a generator and a room for sleeping in. Once all the supplies had been offloaded the Scouts and Venture went hunting for crabs to use as bait for fishing. After collecting about 20 crabs we sat down for some fishing, unfortunately the 4 of us were unsuccessful in catching anything, thankfully we had brought food for dinner. We sat around the growing fire and played cards for a bit. It was getting dark by now and soon we started making our dinner. After our big camp roast we roasted some marshmallows and then it started to rain, so we abandoned the fire and went inside to watch a film, Star ship Troopers. As we were watching the tide came in and the water rose up to the bottom of the shack. After the movie we turned in. The next morning the 4 of us went for a walk while breakfast was cooked. We walked along the shoreline for about 20 mins before turning round. After a hearty breakfast we packed up and boarded the punt back to the oyster depot where we thanked Gary’s brother and returned home. It was a great relaxing sleepover in a beautiful location. 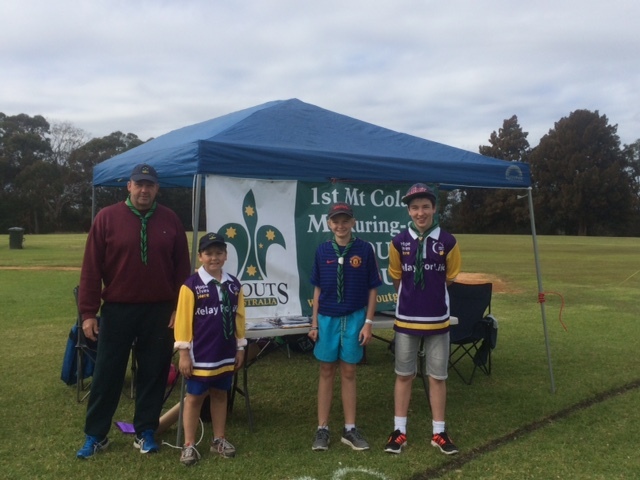 Mount Colah / Mount Kuring Gai Scouts recently had it’s very own design competition. The objective of the competition was to come up with a fun design concept that can be used on our scout section t-shirts. We’re pleased to announce that the winner is Max McDermot! 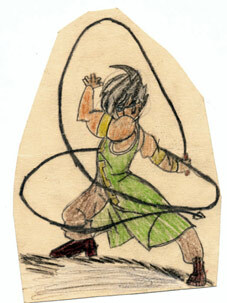 Max has made a fantastic illustration of a manga styled whip cracking dude! Very cool! This is an awesome illustration! Thanks Max! The design has been converted for print and design purposes into an EPS file, which is designer speak for “ready for printing”. Mazi, from Venturers, simplified the image, so it’s ready to be printed on shirts! These shirts will look great on our guys at Ventout, Scout Hike and all of the other activities these whip-crackin’ dudes get up to! Awesome! !